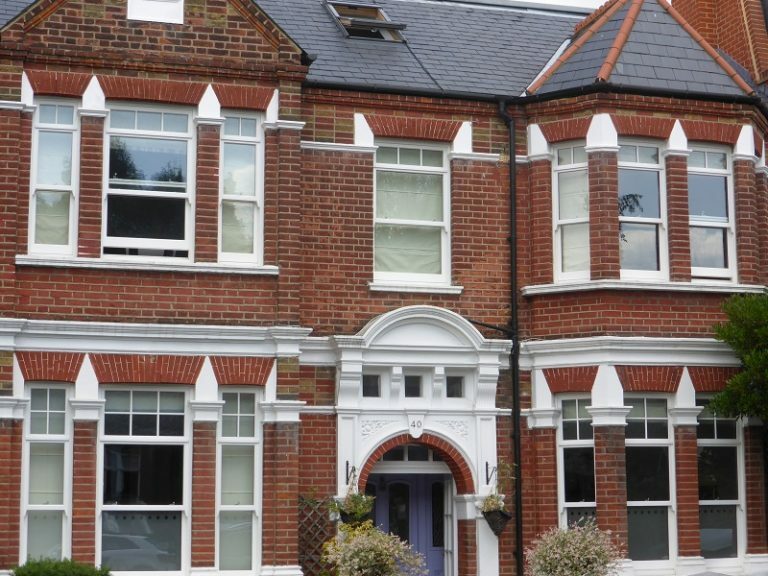 Located on the perimeter of the Dulwich Estate, Mr & Mrs Bird were looking to replace their tired, draughty sliding sash windows with attractive replacements, with correct period details. In particular, they wanted the replacement windows to provide enhanced levels of energy efficiency and sound proofing. 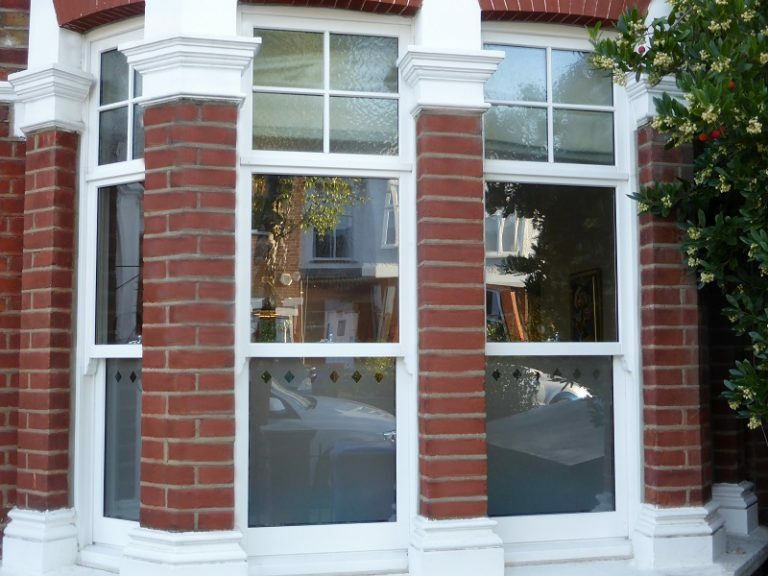 Having specialised in the replacement of original timber window and doors in the Dulwich area for the past 15 years, our Approved Partner TimberWindows.co.uk was able to help the couple achieve high levels of customisation for accurate replacement. A crucial requirement of the project was to replicate the junction between the top sash and the panel which is prominent within the Dulwich area. In addition, Timberwindows.co.uk incorporated obscure glazing, astragal bars and matching period horns into the box sash window design to achieve the desired look. As well as replacing the timber sliding sash windows on the front elevation, TimberWindows.co.uk designed a single door for the rear of the property. With ornate panel detailing and fanlights to the side and rear, the door was manufactured to fit in the original opening. High security was provided through the integration of multi-point locking and the most advanced cylinder locks.